Sai Baba of Shirdi is among the epoch making spiritual gurus of India, who has a magnetic pull from the devotees haling from across the world. With his amazing miraculous powers Sai Baba has millions of devotees that pray to him for his blessings. There are several sweet and endearing bhajans that sung in praise of Sai Baba. Songs, bhajans, prayers being a melodious way to feel closer to someone, has effected into making of several bhajans that are sung and played all across the world by the Sai Baba devotees. In fact audio-visual media has played a great role in popularizing such bhajans on Sai Baba of Shirdi. 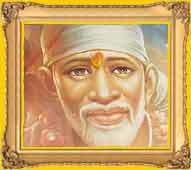 In the year 1977 a movie on Sai Baba was produced named Shirdi Ke Sai Baba. The movie has some great bhajans and religious songs such as "sai baaba bolo dagmag jag yeh dole" and "sainaath tere hazaaron haath sainaath tere hazaaron haath". Indian Television serial producers have also come with serial on the life of Sai Baba with many popular bhajans attracting the devotees in hordes. Sai Baba is the latest serial produced by the veteran Ramanand Sagar capturing the essence of Sai Baba with various melodious bhajans on Sai Baba having earned great popularity among the devotees. There are many other bhajans that are sung with great religious fervor and devotion. Some of them are as follows: Aali Prasadachi Wat, Akra Vachan, Ananta Tula Re, Aarti Saibaba, Ata Swami, Ghoshna, Gurubrahma Guruvishnu, Hari Om, Jai Jai Sainath, Kadhi Na Ruso, Lopaley, Ovaloo Aarati, Sada Satswarupam, Sai Digambara, Tuj Kay Magu.